Designing a home office space, in a shabby chic style, may mean getting creative with the office accessories. Since a shabby chic style is more warm and relaxed than the majority of available office accessories, some diy projects are probably in order. Luckily, there are all kinds of great ideas floating around for transforming ordinary supplies into extraordinary office decor. I have rounded up a list that includes craft projects as well as simply re-purposing vintage finds into new creative office uses. Sometimes it can be hard to know what to do with old mis-matched drinking glasses. 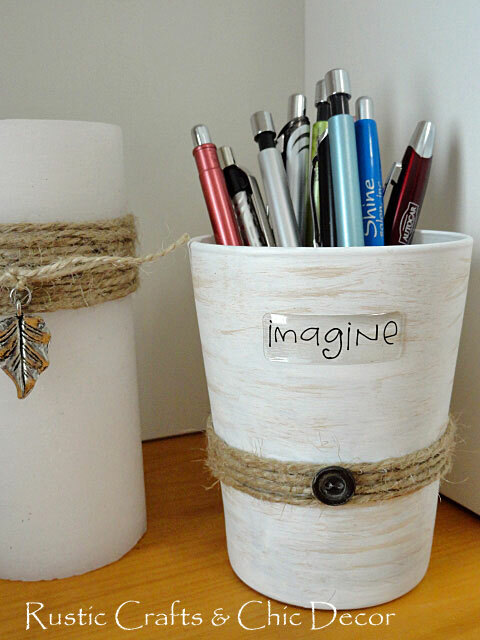 However, with a little paint, twine and other embellishments, you can create a decorative pencil holder for your office. 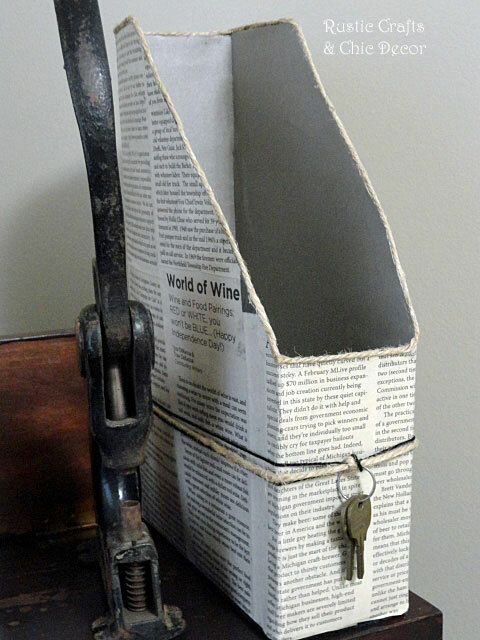 Click on the photo or link for more pencil holder ideas. 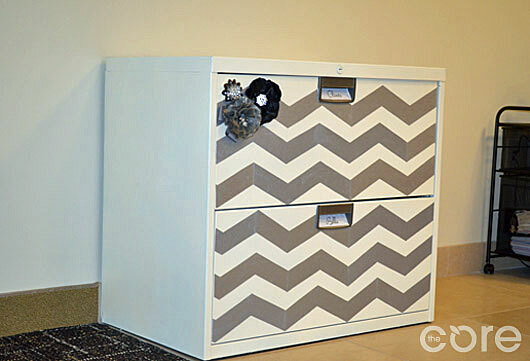 A plain black utilitarian file cabinet went from drab to fab with a creative paint makeover including chevron stripes. This shabby chic paper holder not only fits in with this vintage office setting but it is made from a recycled cereal box. 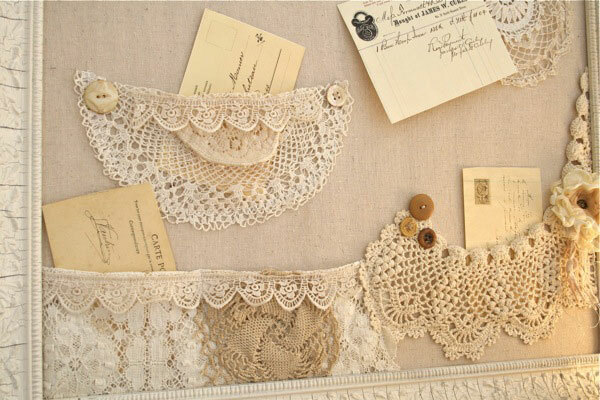 A vintage frame with a fabric lined foam board center is perfect for a shabby chic bulletin board. The addition of lace pockets with the button detail is my favorite part of this project! You don’t always have to create something new. 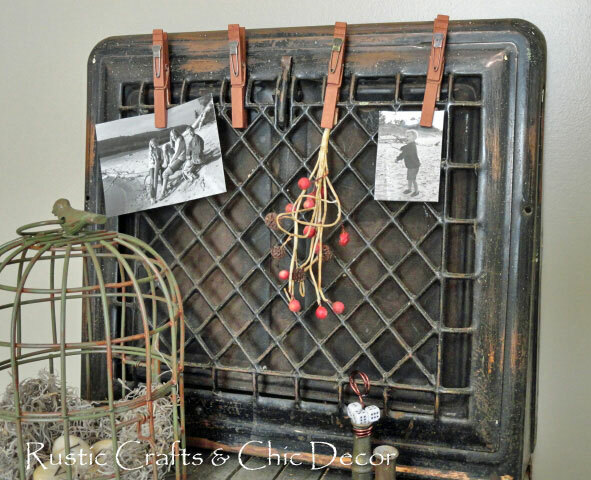 Sometimes you just need to use something old in a new way like I did with this vintage heat register. It makes a great little clip board with the grid. I just embellished some clothespins to coordinate with the register. For more creative office accessory ideas, check out my Pinterest board, Home Office.